[Windows 10] How to Convert MKV to MP4 Fast Without Quality Loss? 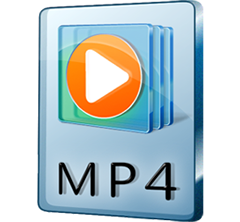 Many people have a scruple about the quality loss when deciding to convert MKV to MP4 (MPEG-4 Part 14), because MKV is publicly known as an ideal format for HD movies/videos, while MP4 is mainly famous for its broad compatibility. This theory is partly correct, but we can still convert MKV to MP4 format without loss in video audio quality. Please read below and figure out why and how. Both MKV and MP4 are container formats. 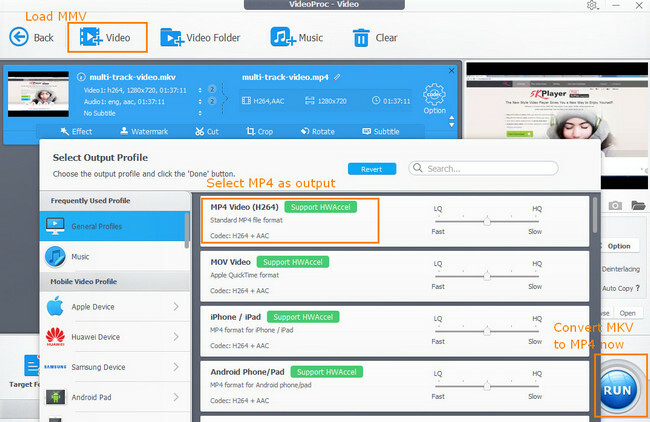 MP4 has many specific formats supported, among which H.264 AVC and MPEG-4 AVC are here to mention. Both H.264 and MPEG-4 can be in an extension of mp4. If you want a highest possible quality, converting MKV to H.264 as an MP4 file is more suggested. Converting MKV to MP4 is the best way to go when you can't play MKV files on computers, smartphones, tablets, game consoles or other devices. FYI, human naked eyes can hardly see any quality difference/degradation if playing the original MKV file and the resulting MP4 file on mobile devices. It's an easy job if you get a powerful and easy-to-use MKV to MP4 converter. VideoProc - Equipped with Full Hardware Acceleration, High Quality Engine and more cutting-edge technologies, it can convert any MKV to MP4 for playback on more devices at the fastest speed while keeping nearly lossless quality. Hundreds of premade presets allow you to convert MKV to iPhone, iPad, Android, Windows Mobile, Xbox or other devices directly. > Why Convert MKV to MP4? > Why VideoProc Is the Fastest MKV to MP4 Converter? Why Convert MKV to MP4? Therefore, the important reason to convert MKV to MP4 is that MP4 is the most widely supported container format, making us watch MKV files anywhere we please. We can watch MKV movies on iPad when we are on the subway, play MKV with Windows Media Player or QuickTime without third-party MKV codec installed, etc. But there're still other good causes to do that. After converting MKV video to MP4 format, you can still keep HD H.264 video with surround sound AAC audio and include advanced cinematic extras such as multiple audio tracks (e.g. director's commentary), multilingual subtitles, chapter points, bonus content and more. In addition, you can remove some parts of videos, like unwanted language and subtitle tracks, to reduce file size and store more movies on your device. You don't need to worry about quality degradation after converting HD MKV video to MP4 format. Some professional and responsible MKV to MP4 converter software offers you tailor-made video transcoding. For instance, VideoProc (Windows 10, 8, 7, XP) and its Mac version are masterful at converting MKV to MP4, and also converting MP4 to MKV, while maintaining high video audio quality. This MKV to MP4 converting software allows you to choose H.264 to encode the output MP4 video, which means the output video utilizes the same advanced codec, thus achieving most desirable image quality. Meanwhile, WinX MKV to MP4 converter for Windows (10)/Mac adopts VBR (Vibrate Bit rate) encoding method, which is as same as MKV. In VBR coding, you can choose the desired quality level and/or a range of allowable bitrates. Then the encoder tries to maintain the selected quality during the whole stream by choosing the optimal amount of data to represent each frame of audio. The main advantage is that you are able to specify the output MP4 quality level and conserve as much space as possible for your storage-limited portable devices. Why VideoProc Is the Fastest MKV to MP4 Converter? VideoProc boasts the world's No.1 fast conversion speed, 5X faster than others in the market. Why it is so fast? It is rated as the fastest video converter for the following reasons. 1. This program comes with multiple cutting-edge technologies, namely multiple CPU cores (up to 8), MMX-SSE, Hyper-threading and AMD 3DNow! 2. In 2015, its developer - Digiarty Software with over a decade of history, applied hardware accelerated video encoding and decoding technology into it. Because of inbuilt hardware encoder, it can make full use of CPU and GPU, thus processing video conversion 16x faster on machines configured with both QSV-allowed Intel processor (2-6th generation) and CUDA/NVENC-enabled NVIDIA GPU. How to Convert MKV Format to MP4 on PC/Mac? After downloading and installing VideoProc onto your computer, you only need 3 simple steps to get MKV converted to MP4. Step 1. Load target MKV files. Open this converter and load an MKV file you want to decode from your computer, external hard drive, USB drive: Click + Video button at the top left corner of main interface, and then browse and open target items. 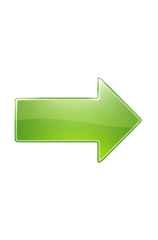 If you need to transcode multiple MKV files, simply choose all of them for batch conversion. It will save you much time and energy. Step 2. Select MP4 in output profile. After loading source files, Output Profile panel will pop up automatically. In this screen, you will find many preset MP4 output profiles. You can choose one based on your own needs. Here let's select MP4 Video (codec: H.264+ AAC) under General Profiles category for good quality preservation and compression ratio. Step 3. Convert MKV to MP4 right now. Before any further, you can change the destination folder. By default, output files will be stored in C:\Users\admin\Videos\WinXVideos\. Choose another one by clicking Browse button if you like. Once in place, just click RUN button - a blue round one - to start converting MKV video files to MP4 instantly. VideoProc: Built in 370+ audio video codecs, it is able to convert formats between all popular video formats like MKV, AVCHD, M2TS, MP4, AVI, WMV, HEVC, MOV, RM and more. Moreover, it is embedded with numerous profiles for Apple, Samsung, HTC, Sony, Microsoft portable devices, iOS, Android, Windows mobiles. 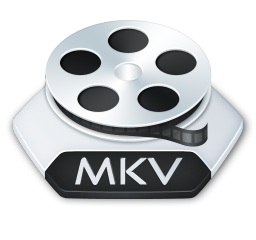 Convert MKV to iPhone, MKV to iPad are good examples. Besides, it is a video editor, a video compressor, a video recorder, and YouTube video downloader.